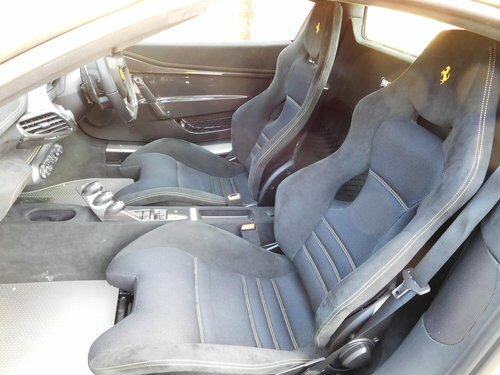 Chassis #ZFF78VHC000205524 of 49 RHD examples and 499 total production. 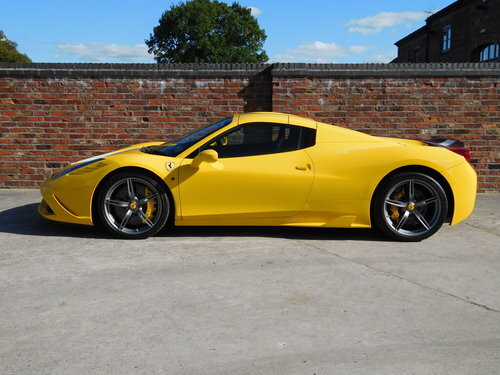 A UK, RHD supplied example, delivered new on the 2nd April 2015 via H.R Owen Ferrari London to T. Christian Esq of Sheffield. 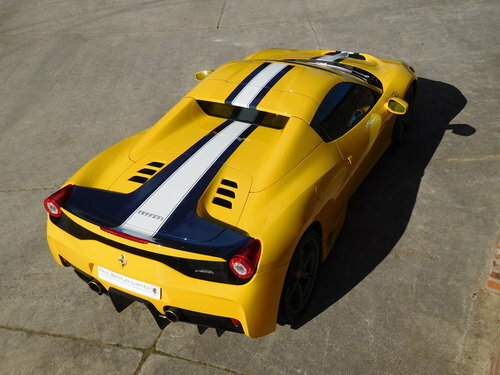 Specified in a Giallo Modena exterior, Blu NART Racing Stripe complemented by a Nero alcantara interior with 3d fabric and Giallo stitching, Nero alcantara headlining & Carbon Fibre racing seats. 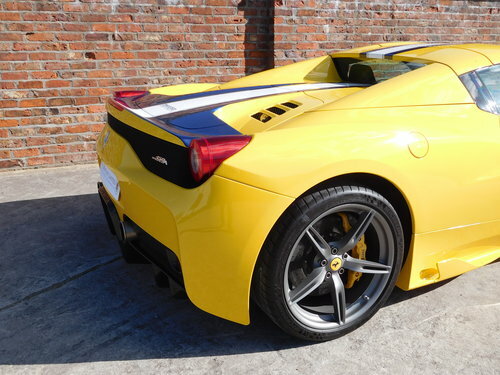 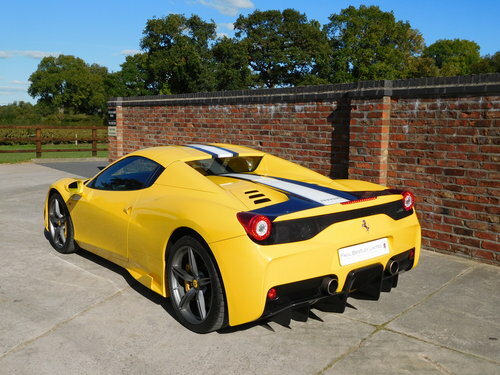 Yellow Giallo rev counter, Engine covers in carbon fibre, Telemetry, Radionavi system, Bluetooth technology, Navtrack anti-theft system, Scuderia Ferrari Shields & 20’’ Grigio Corsa Forged rims. 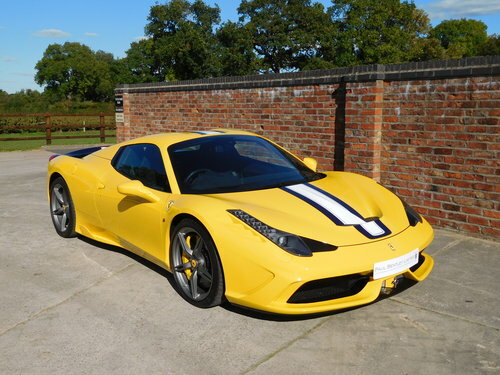 With complete documented annual service history from new along with its current mot certificate on file, this freshly serviced, immaculate example of the very collectible, limited production, 597 bhp, V8-engined, 458 Speciale Aperta is available for immediate inspection.